Over 300 Dairygold milk suppliers attending a special launch event at the Corrin Event Centre in Fermoy, were told of where Dairygold announced detaisl of a new bonus payment for milk suppliers. A number of guest speakers, including those from Bord Bia, Teagasc, Munster Cattle Breeding Society and Dairygold, made presentations on sustainable dairy production. 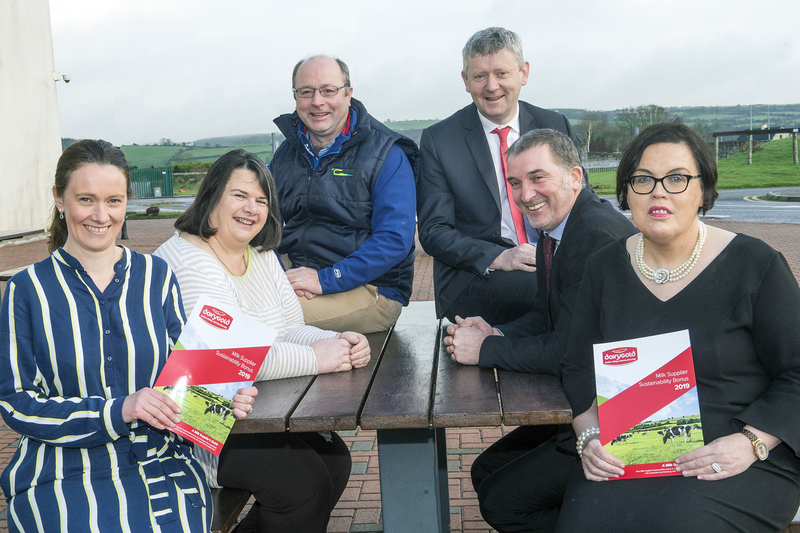 Speaking at the launch event, Dairygold Chairman John O’Gorman, said Dairygold has always sought to encourage more sustainable practices at farm level with initiatives like the Joint Farm Development Programme, the Sustainable Dairy Assurance Scheme and Dairygold’s Leanfarm Programme. “The new Milk Supplier Sustainability Bonus continues our work to create an environment where our milk suppliers can produce milk in a more sustainable manner,” he said. Friday’s launch event also featured a Discussion Panel where Dairygold milk suppliers Michael Murphy, Kevin Downing, John Walsh and Ned O’Brien discussed topics such as milk recording and herd health, milk quality, sustainability and Dairygold’s Leanfarm Programme, respectively. The Milk Supplier Sustainability Bonus is designed to deliver healthier herds with the more productive cows, thereby improving both the economic and environmental sustainability of the Dairygold milk production base. Within the Dairygold supplier base, milk recorded herds currently produce, on average, 50Kg more solids per cow per year, than non-milk recorded herds which is potentially worth an additional €23,650 per annum for a 100-cow herd. 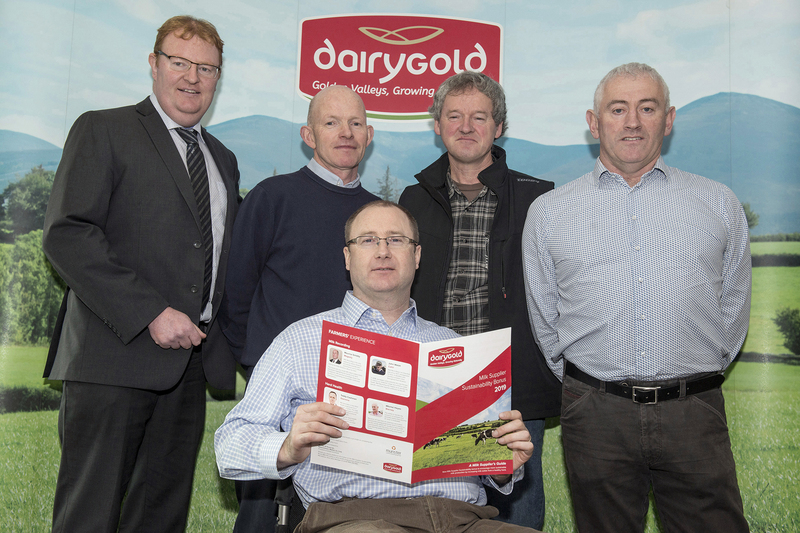 Dairygold is offering suppliers who participate in milk recording a 0.1cpl bonus and another 0.05cpl bonus for those who join Munster Cattle Breeding Group’s Herd Health programme. These bonus payments, together with the existing 0.1cpl SDAS bonus, will mean a total of 0.25cpl in sustainability related bonus payments for milk suppliers on top of the existing milk quality bonus of 0.4cpl. The new Milk Supplier Sustainability Bonus is available now and will be paid from the month the suppliers sign up to the programme.